The report, “More Lives Saved: A Year Of Drone Rescues Around The World,” is available for download at this link. It highlights how improved drone technology, rapid adoption by first responders and smart aviation regulations have combined to increase the pace of drone use in critical public safety missions. In conjunction with an earlier report released last year, DJI has now counted at least 124 people around the world rescued by drones. The new report found drones have dropped buoys to struggling swimmers in Australia and Brazil, spotted unconscious victims in sub-freezing weather in England and America, and found stranded people in fields, rivers and mountains. In one case, police in Lincolnshire, England responded to a car crash on a dark rural road on a cold night but were unable to find the driver. 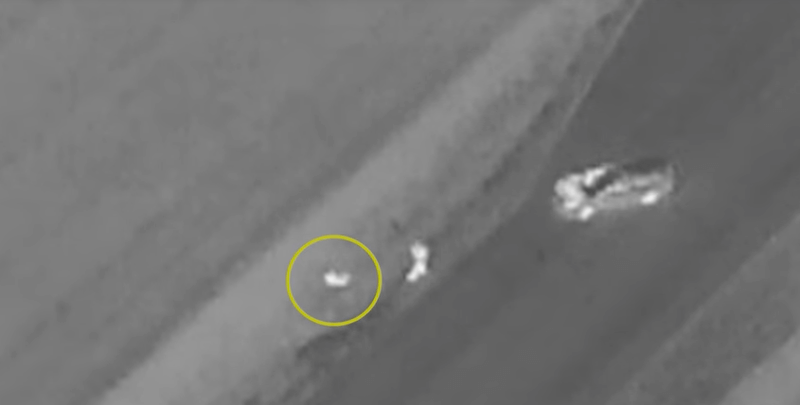 A drone with a thermal imaging camera spotted the driver in a ditch away from the crash scene, and captured the dramatic moments when it guided officers to find him. Click here to watch a video featuring that rescue.